Royal Phuket Marina (RPM) is Phuket Island’s most high-end and 5-star marina that combines moorings for yachts and boats and luxury lifestyle. Royal Phuket Marina (RPM) is Phuket Island’s most high-end and 5-star marina that combines moorings for yachts and boats with world-class real estate options, The Royal Phuket Marina offers top-notch onsite facilities such as international eateries, cool bars and even a state-of-the-art fitness centre. 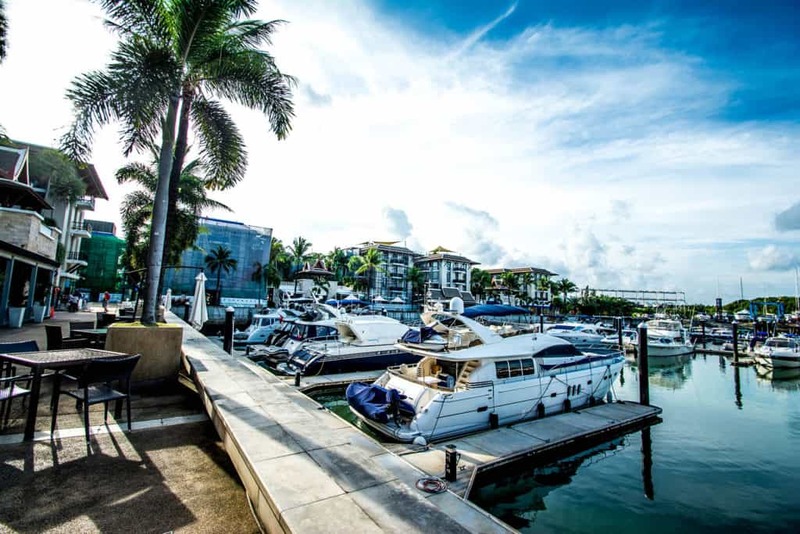 Whether you are looking for somewhere to moor your boat, want to find a stunning marina-view Phuket condominium in a luxury lifestyle atmosphere, or simply want a great night out full of top-notch food and drink in a warm and friendly environment, it’s no wonder that the Marina is so prestigious. The marina also hosts some great events such as its luxury markets in the high-season months and is also the spiritual home of the world-famous PIMEX Phuket International Boat show, which is the best of its kind in SE-Asia. Luxurious, modern, stylish and convenient, RPM really is a one-stop-shop for style in the heart of Phuket.